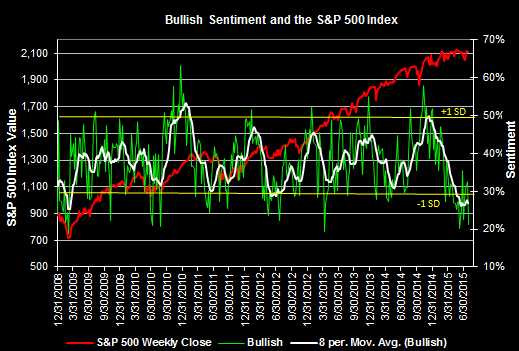 Today's Sentiment Survey report by the American Association of Individual Investors shows bullish individual investor sentiment fell a steep 11.44 percentage points to a low 21.1%. The bull/bear spread is now -19.6%. The last time the bull/bear spread was at this level was the early part of 2013. For investors, this contrarian indicator suggests the market could be setting itself up for a move higher after trading sideways for the better part of this year.